If you are on the fence of committing your career to photography, the following resources are here to help you make an informed decision about your potential photography profession. Whether you are fully-dedicated to photography and want to earn your online degree or you just want to learn the basics of Photoshop, you can review the following links and see what form of education suites you. Don’t have time to get your degree in Photography? You can learn more about photography without dedicating your time to school. Through these useful online tutorials, you can understand exposure or create compelling compositions just in a matter of a few weeks. Read below for further information. 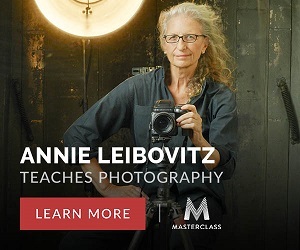 The New York Institute of Photography is the largest online photography school in the world, offering world-class photography courses to fit any budget. Students will learn how to take better photos, and how to earn money with their camera. Every student will receive one-to-one feedback from a professional photographer. You can learn anywhere, anytime, at your own pace, with up to 18 months to complete your program. Sign up for more than one course and you’ll save 25%. Udemy: Want to learn about specific types of photography, such as travel photography or studio photography? Udemy can help you hone your skills in photography, so that you can have the tools to start your own business. They even offer a FREE photography course to teach you basic skills you need to begin your photography career. Visit Udemy.com to see what courses they have to offer. All courses are currently on sale! creativeLive: From Photoshop to how to market yourself as a photographer, you can learn it all at creativeLive. You can choose from a variety of different photography classes that will challenge you to become the best photographer you can be. Whether you want to take a week long course or an intensive two-day course, you can find what suites you at creativeLive. The Great Courses: At Great Courses, amazing photographers will teach you the things you need to know to enhance your photography skills. These photographers have produced work for prominent publications, such as National Geographic, so you will learn from only the best teachers at Great Courses. You can learn about lighting, framing, and other advanced topics. See what The Great Courses can teach you. Kelby One: By subscribing to Kelby One, you can find several courses pertaining to the basics of photography along with specific types of photography, such as wedding and seasonal photography. Just by dedicating one-two hours of your time, you can learn the gist of how to use your camera for ordinary and special occasions. There are courses for photographers of all levels, so visit Kelby One today and see what they can offer you. Tuts+: Tuts+ is a great resource for any photographer. Just by dedicating 30 minutes to photography each day, you can learn how to become a great photographer in no time. Outstanding instructors will help you take your photos from ordinary to extraordinary with some useful and simple Photoshop and camera tips. Tuts+ will break down complex tasks for you, so that you can understand the material well. Lynda. com: Lynda.com offers photography courses that will help you develop your skills in Photoshop, how to use your camera more efficiently, the fundamentals of photography, and so much more. The instructors of Lynda will even provide valuable feedback on all your assignments, so that you can improve your photography. Read more about the different courses you can take. If you are looking to enhance your photography skills, these FREE, open courses can be helpful. Professional photographers and instructors from prestigious schools have uploaded content from their own classes for you to watch. If you want to learn more about the fundamentals of photography, you can find useful information here. Learn about photography at your own pace during any time of day without having to worry about deadlines or projects. The Art of Photography by Open 2 Study: Open 2 Study is now offering a course that teaches students the art of photography. In this course, you will learn about exposure, identifying pixels and what is RAW and the reasons why you should use it. You can capture better photos and develop your photography skills through Dr. Hubert’s useful tips. Basic Photography by AllVersity: Understanding angles, light, and how to hold your camera are all critical aspects of becoming a photographer. AllVersity is here to help you learn the basics of photography, so that you can take spectacular photos – even if you have just an ordinary camera. With AllVersity, you don’t need to invest in expensive, high-tech gear in order to become a photographer – just some imagination and a curiosity for photography. Computational Photography by Coursera: If you are looking to take your photography skills to the next level, then this course is for you. Coursera is currently offering a Computational Photography course through Georgia Tech, so that you can learn about the technology side of photography. A general knowledge of photography and college-level mathematics is needed for this course, so that you can get the most out of the class. Academy of Art University: If you want to get more than a certificate in photography, the Academy of Art University offers students ways to obtain an Associate of Arts degree, Bachelor of Arts degree, and a Master of Arts degree in Photography. Being one of the most distinguished online photography schools in the nation, the Academy of Art University teaches their students the tools they need to be successful in the field. The Art Institute of Pittsburg: Through the Art Institute of Pittsburg, you will learn the ins and outs of various types of photography. Whether you want to learn about studio photography or magazine photography, AIP is here to help you get a holistic education. You can read more about the courses AIP offers and learn how to attain your Bachelor of Science in Photography.